BILLY Castle could hardly have picked a bigger scalp for his first victory on the professional snooker circuit. The 25-year-old had lost his first three qualifying matches before edging six-time World Championship finalist Jimmy White 4-3 in the European Masters. It means he travels to Lommel, Belgium, in October, to face world number 17 Martin Gould in the last-64. The loser of that match pockets £2,000 prize money. “I’m really happy to get my first win as a pro, especially against Jimmy White,” said Castle. “He’s a legend. He’s a household name. To get my first win against him is even more satisfying. Southampton’s former Town Champion revealed he was up against a partisan crowd at Preston Guild Hall. Castle, who needed a snooker to square the match at 2-2, added: “They all love Jimmy White. He’s got a big fan base. 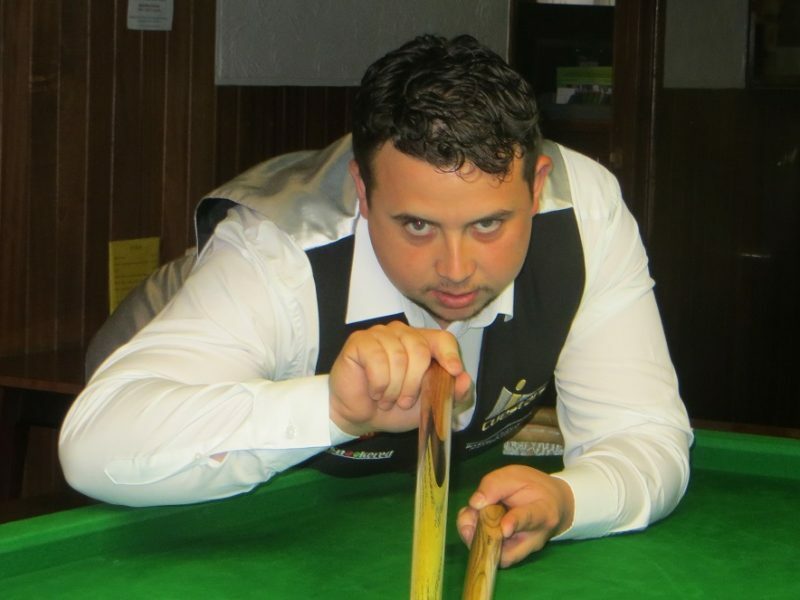 Two days previously, Castle was beaten 4-1 by Daniel Wells in the qualifying round of the Indian Open and amassed only 15 points in the four frames he lost. “I didn’t do a lot wrong,” he said. “I felt as if I was cueing good even though I didn’t get a lot of chances. A first win means qualifying for a venue for the first time and guaranteed prize money for the first time. It’s all starting to happen for last season’s Cuestars South of England Championship Tour winner, who made good use of his prize, a free entry to Q School.